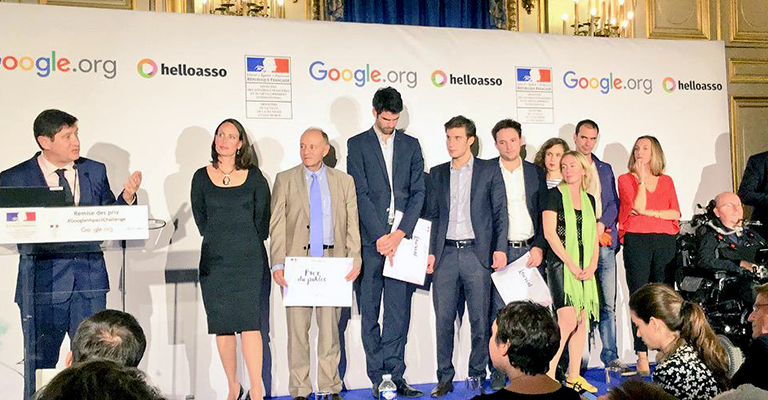 » LWB Wins the Google Impact Challenge! Congratulations to the other winners as well, Ticket for Change, Jaccede, and of course the winner of the popular vote, 1001 Fontaines. And our best wishes for those who did not win but who nevertheless deserved to, in particular our friends at MakeSense who were an enormous help to us in the development of the Ideas Box as well as MyHumanKit and Voxe who both submitted truly excellent projects.